The Jungle Book Number One. Following the international success of The Jungle Book, which earned $28.9 million abroad and opens Stateside this weekend, Disney’s got a sequel in the works. According to Variety, the studio is talks with director Jon Favreau and screenwriter Justin Marks for The Jungle Book 2. 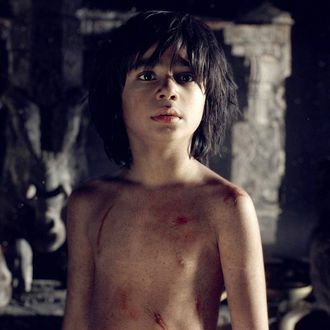 The first movie is based on the Rudyard Kipling stories about Mowgli, a boy abandoned in the jungle after being raised by wolves, but there’s no word yet on what the sequel will be about. Our guess is that it will still be in the jungle, but with new adventures. Hmmm. That’s just a shot in the dark, though. One question remains: As he gets older, will his underpants outfit get bigger? Will he switch to boxers? Boxer briefs? Where do you get boxer briefs in a jungle setting? Sorry, we had a lot more questions than we thought.